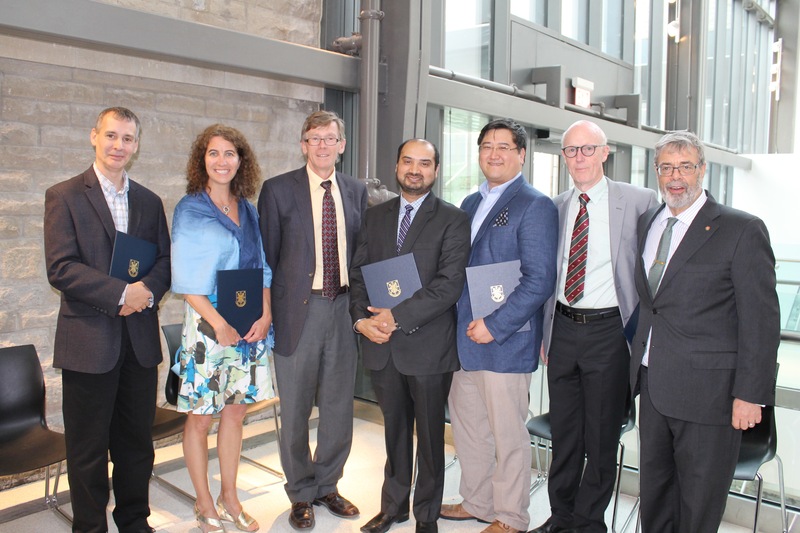 From left to right: Dr. Mike Ward, Dr. Kim Curtin, Dr. Phil Wattam, Dr. VJ Parmar, Dr. Wei-Hsi Pang, Dr. Ross McLean and Dr. Richard Reznick. Absent: Dr. Joe Burley, Dr. Bob Webster, Dr. Geoff Hodgetts and Dr. Sephora Pierre. Dr. Sephora Pierre receiving her award from Dr. Phil Wattam & Dr. Geoff Hodgetts. 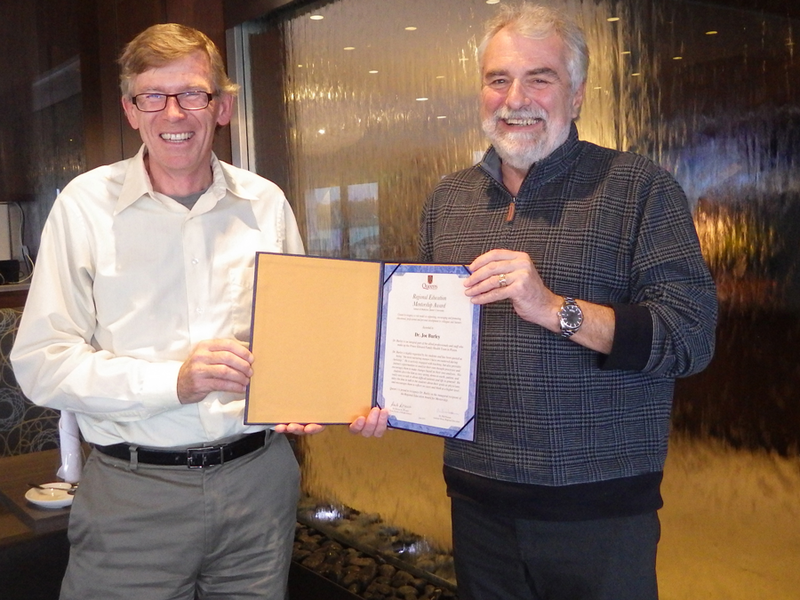 Dr. Geoff Hodgetts receiving his award from Dr. Phil Wattam. Dr. Joe Burley receiving his award from Dr. Phil Wattam. We are pleased to announce the recipients of the inaugural Regional Education Awards that were presented at the FHS Faculty Recognition Reception that took place on June 15, 2016. Created to recognize community preceptors who have contributed significantly to advancing teaching and learning at distributed sites. Created to recognize a role model in supporting, encouraging and promoting educational, professional and personal development to colleagues and learners. Created to reward major administrative contributions to education or innovative curriculum development in community sites. Thank you to all of this year's recipients for your service and dedication to our medical trainees!